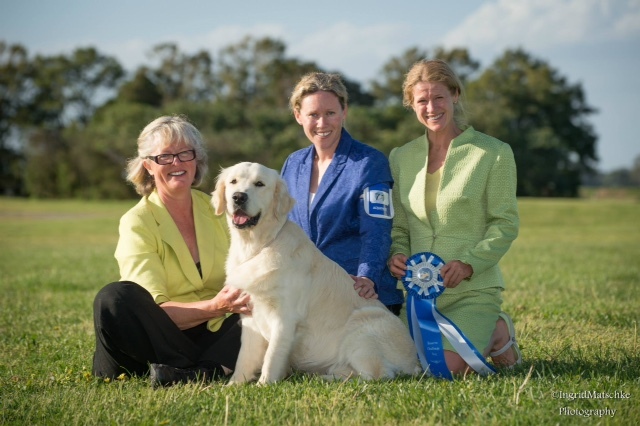 Felix with his 3 owners after winning RESCC at the 9th Golden Retriever National Nov 2014 @ 22 months of age. 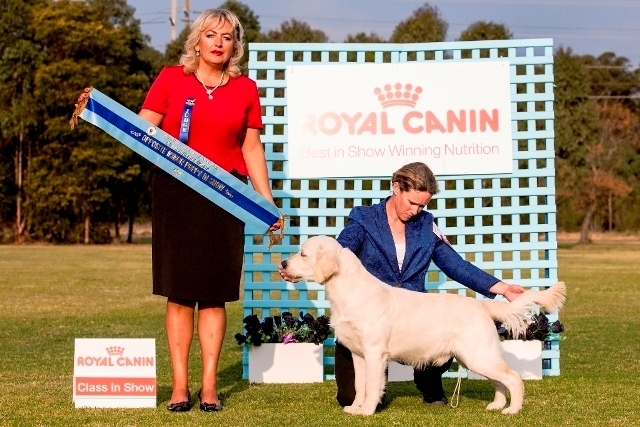 To finish off the Speciality show season for 2013, Felix wins Puppy In show at the Southern Gundog show under well respected veterinarian & canine Breeder Dr K Hedberg (NSW). 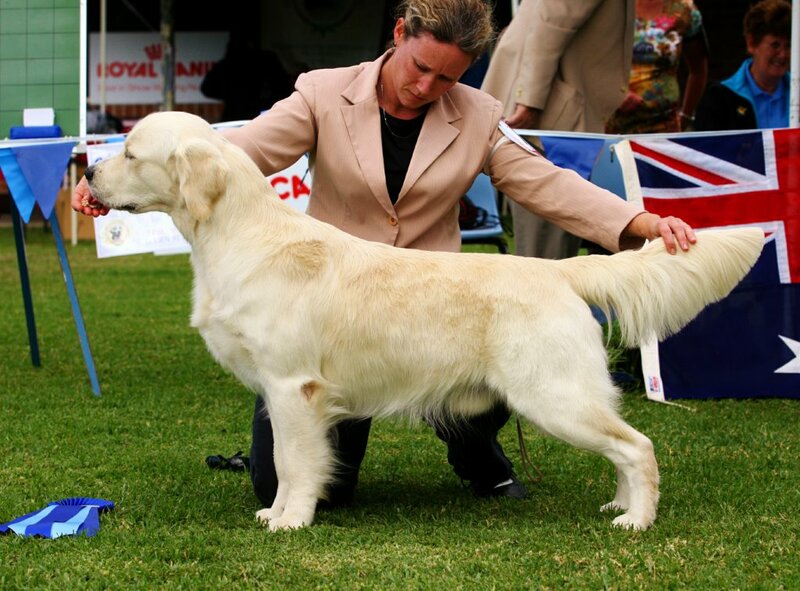 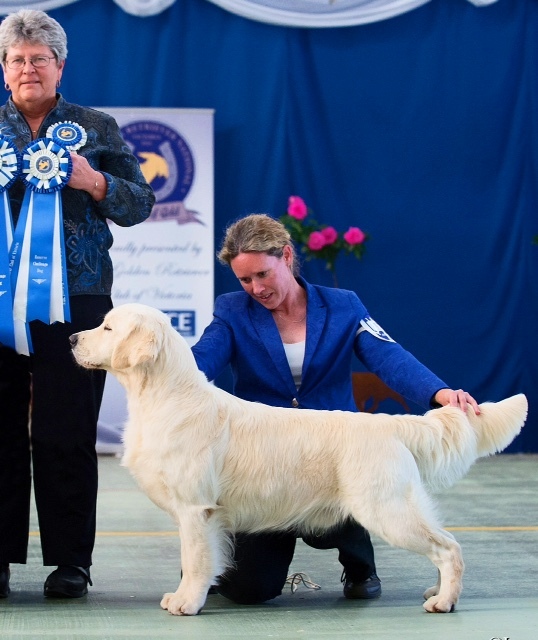 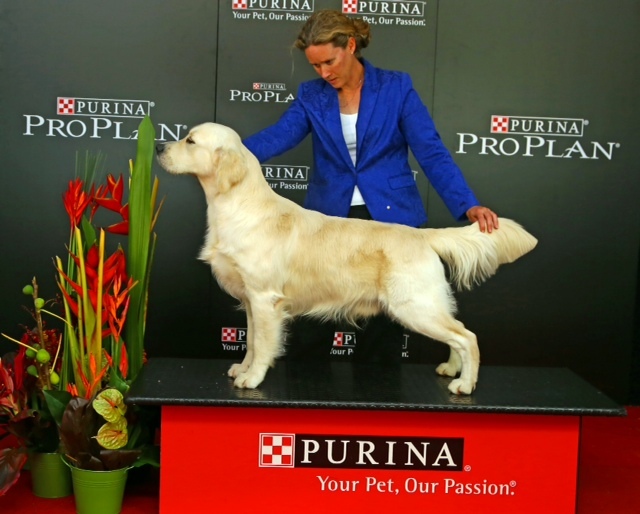 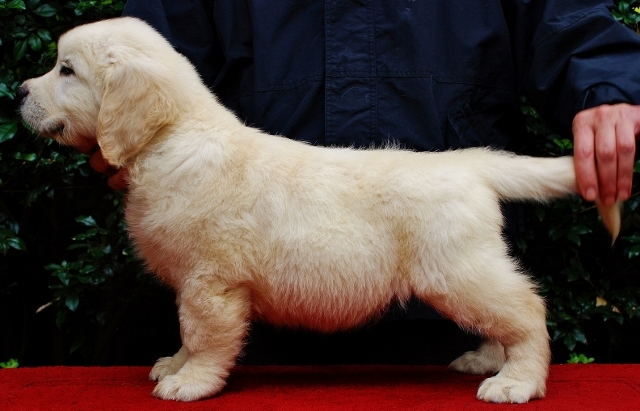 May 2014 The Golden Retriever Club of NSW holds a double show to celebrate its Golden anniversary. 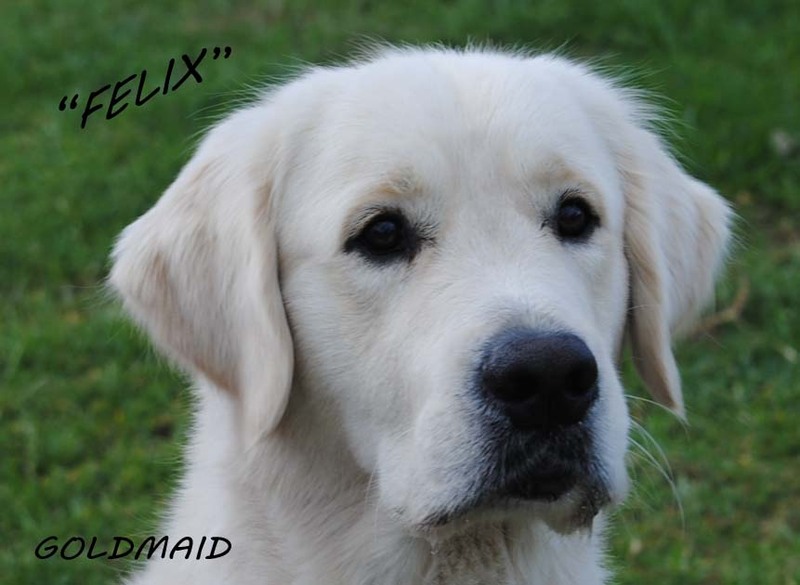 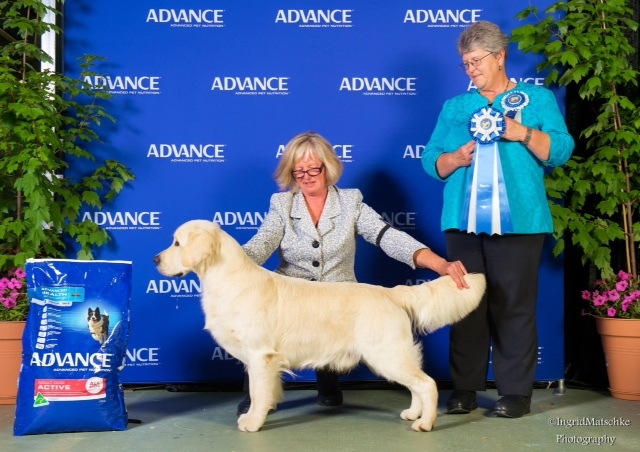 Judge Mrs Delma Marshall (Oaklodge Golden Retrievers) awards Felix Best Junior In show, Critique to come. 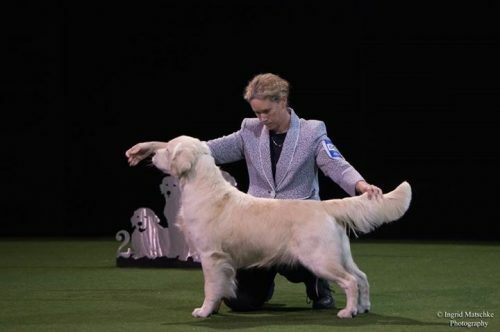 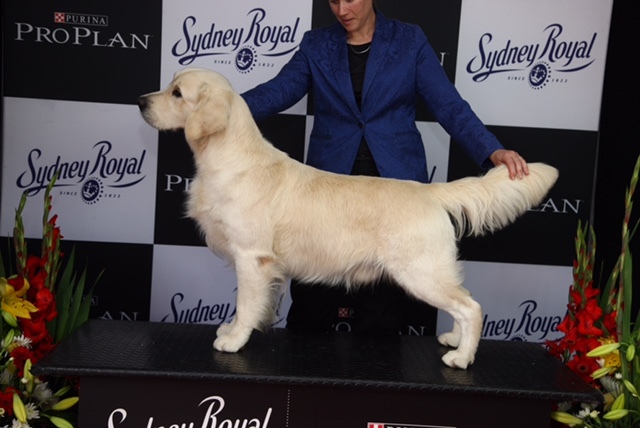 The 2nd show with Judge Mrs Liz Pope (Chilzer Golden Retrievers UK) awarded Felix Best Junior Dog in show “Masculine head which was well chiseled & balanced with a soft expression, dark pigment & good ear set. Strong clean neck into well angulated shoulders, short coupled, level topline. 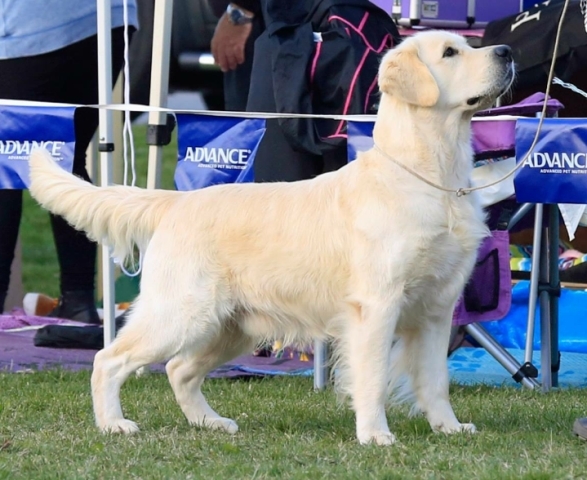 Moved out very well covering the ground effortlessly“. 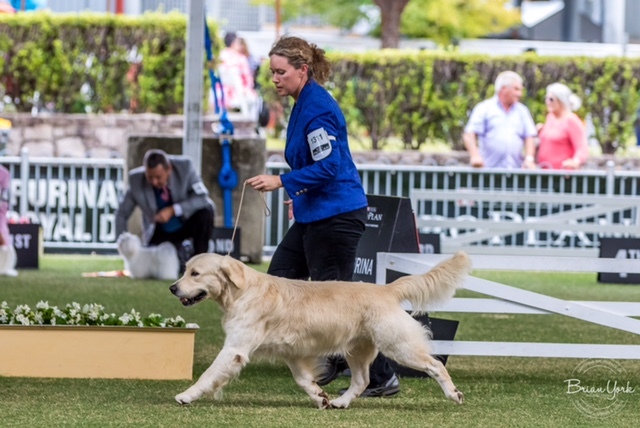 We Thank Kim Handley for entrusting this promising young man into our family, I’m sure we will do you proud.